Volkswagen’s latest Jetta has been on sale since the 2011 model year, during which time it’s seen its engine lineup expanded and a new hybrid variant added. 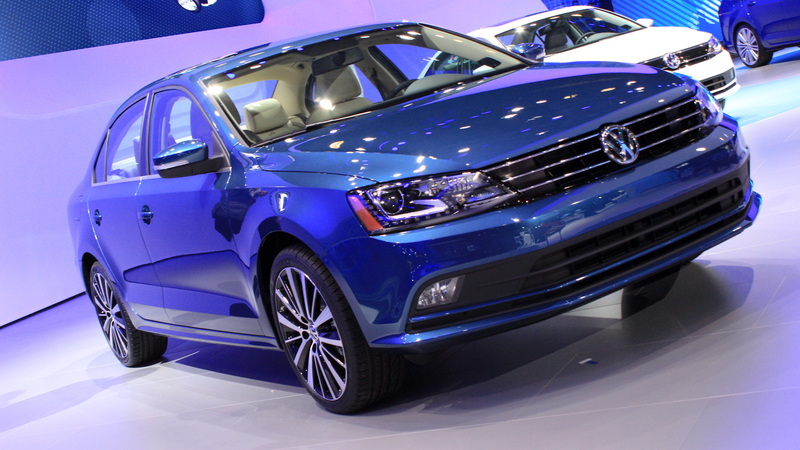 For 2015, the Jetta is receiving its first major update, and we got our first look at the car up close at the 2014 New York Auto Show today. The changes are being introduced to bring the Jetta’s spec closer in line with that of the 2015 Golf, which is about to launch on the market and will be the basis for a new SportWagen. The latter is also being previewed in New York, as a concept. The changes to the 2015 Jetta are hard to spot; on the outside, you get a revised grille, new LED daytime running lights, and new bumpers. Inside the car, the changes are just as subtle. There are some chrome touches, new ambient lighting options and new seat trim. There are also some new electronic safety features such as blind spot and rear cross traffic warning systems, a frontal collision warning system, and park distance control. Engines carry over, with the base model continuing with a 2.0-liter four-cylinder. Next in line is a 1.8-liter turbo four, which is followed by a 2.0-liter turbo four. 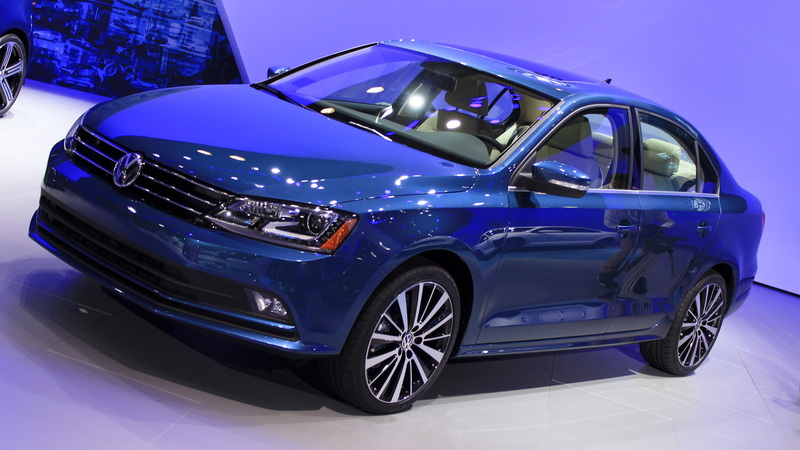 For the fuel conscious, the 2015 Jetta also continues to offer hybrid and diesel options. The latter, a 2.0-liter turbodiesel, has seen its output increased by 10 horsepower to 150 horsepower, and is said to be good for 45 mpg on the highway, up from 42 mpg for the outgoing model (it now features active grille shutters). Transmissions include manual, automatic and DSG dual-clutch units. Joining the 2015 Jetta on VW’s stands will be the Golf SportWagen concept, the production version of which is already available overseas and will be replacing the Jetta SportWagen in local showrooms in the near future. It shares the 2015 Golf’s MQB platform and is 1.1 inches longer than the previous Jetta SportWagen, nearly an inch wider and nearly an inch lower. VW has confirmed that the production Golf SportWagen will be offered with two powertrains: a 1.8-liter turbo four and a 2.0-liter turbodiesel. 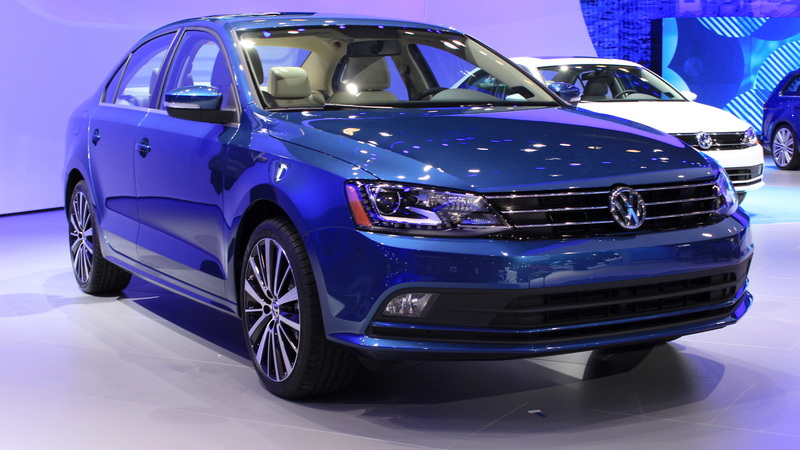 Both units are already offered in the Jetta above. 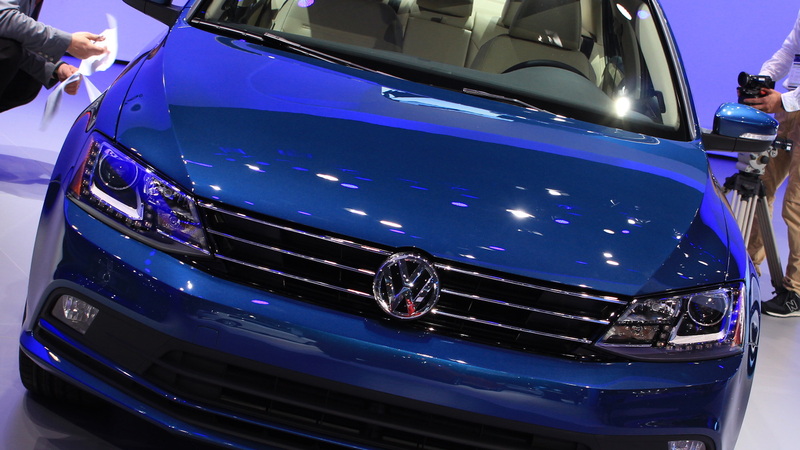 Also like the Jetta, transmissions for the Golf SportWagen will include manual, automatic and dual-clutch units. Interestingly, the concept is being shown with VW's 4Motion all-wheel-drive system, though we're not sure if this will be offered on the production model. VW hasn't announced whether its stylish new wagon will arrive for the 2015 or 2016 model year, and official features and the bulk of U.S. specs aren't expected for a few months. We’ll bring you an update as soon as they’re out. 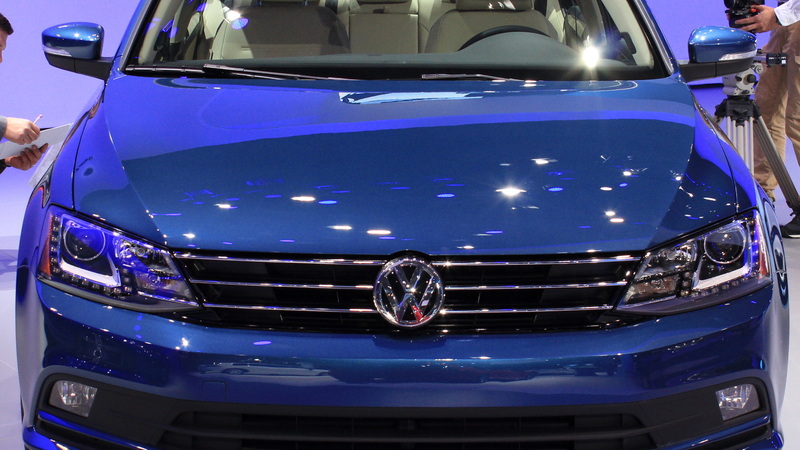 In the meantime, head to our dedicated New York Auto Show hub for more news.